Born on a farm near Mount Pleasant, Ontario, on 22 April 1844, a year after his parents had immigrated to Canada from Scotland. He received what was, for the times, a good education, at the high school in nearby Brantford, the University of Toronto, and Knox College, where his success as a student was marked with medals and scholarships. He was an athlete, playing on the college football team. He had served as a militia volunteer during the Fenian troubles of 1866 and was present at the disastrous Canadian defeat at Ridgeway. 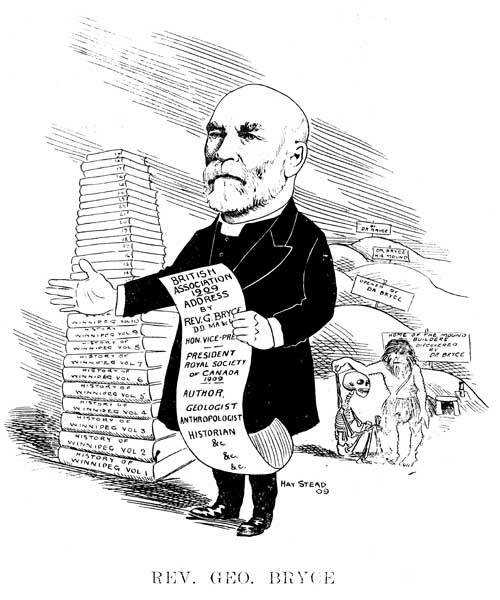 As a young Presbyterian minister, Bryce was part of the influx of Ontario immigrants who came to Manitoba after the collapse of Riel’s Provisional Government in 1870. He was selected in 1871 by the General Assembly of the Presbyterian Church to come west to Red River to organize a Presbyterian college and a new church. 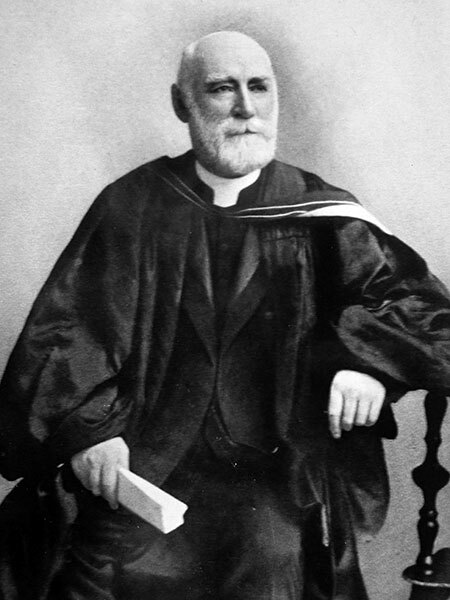 He set up Manitoba College in the same year and taught there until 1909. In 1872 he founded Knox Church, the first Presbyterian church in Winnipeg. He was also one of the founders of the University of Manitoba, and taught science on the University faculty and served on the University Council until his retirement in 1904. Bryce was one of the founders and he served two terms as President of the Manitoba Historical and Scientific Society - once from 1884 to 1887, and again from 1905 to 1913. He was a prolific author who wrote nine books and forty or fifty pamphlets as well as numerous sermons and speeches. He delivered 30 papers before the Historical and Scientific Society of Manitoba alone, on topics as diverse as geology, archaeology, and Red River history. In 1902 his scholarship gained national recognition when he was elected to the Royal Society of Canada. In 1910 he served as the Royal Society’s President and he was also a member of many other learned societies. In November 1921, he was awarded an honorary degree by the University of Manitoba. In his later years, after the death of his wife Marion Bryce, he grew frail and moved back to Ontario to live with his brother, Dr. P. H. Bryce, in Ottawa. He died there, largely forgotten, on 5 August 1931 and was buried in the Kildonan Cemetery. He is commemorated by Bryce Avenue in Winnipeg, and Bryce Hall (with a commemorative plaque) at the University of Winnipeg. There are extensive papers at the University of Winnipeg Archives. “George Bryce” by Catherine Logan Macdonald, MA thesis, University of Manitoba, 1983. “Manitoba University to confer degree on Rev. George Bryce,” Winnipeg Tribune, 14 November 1921, page 6. This page was prepared by Jim Blanchard and Gordon Goldsborough.